Oh yes–you read right. It’s pumpkin time! 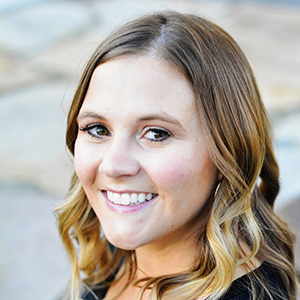 (No Heidi–it’s still summer!) Well really you can cook with pumpkin all year round if you’d like. But this is a great treat just right for the fall. And fall is my most favorite time of year so you can bet your boopie that I will be sharing lots of fall things already. I’m a donut girl. My mom loved donuts so as a kid, that was always our go-to choice of treat. She was such a fan of Dunkin’ Donuts that we stopped nearly every time we saw one on our road trips (because back then there were no Dunkins in Utah. Crazy!) But I still love donuts…I’ve even started to take on the shape of a donut. 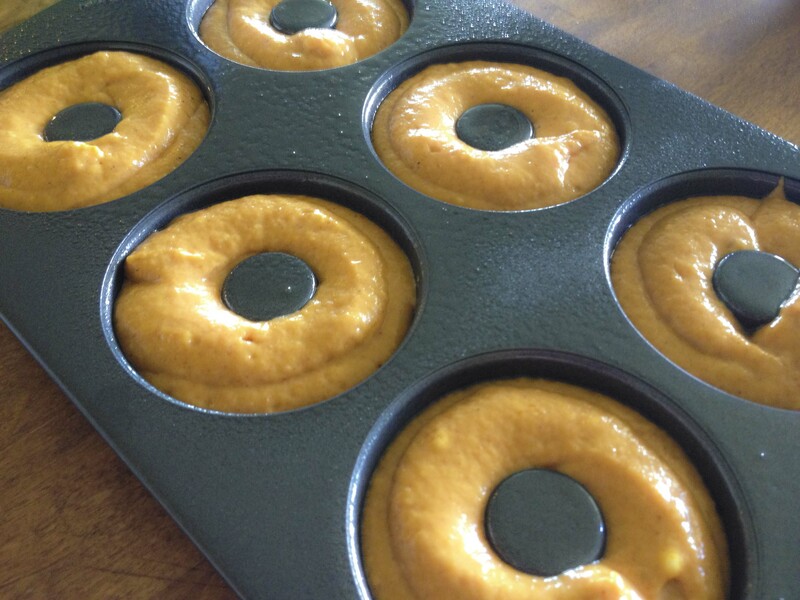 I always try to find ways to incorporate pumpkin into my fall baking, and these pumpkin donuts turned out so well. They rose beautiful into the perfect donut shape. The consistency was like a light pumpkin bread with a delectable topping. I went shopping for this recipe at World Market. I adore going to World Market, but especially in the fall when my baking itch strikes. It’s the perfect place for shopping for fall food and drink. I’ve gotten some awesome stuff there lately, including some ingredients for this recipe. 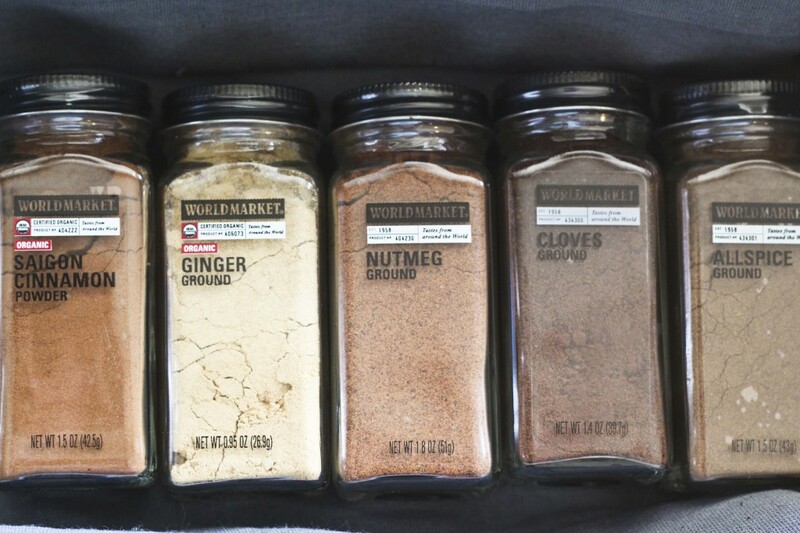 I actually first combined my spices to make a pumpkin pie spice which I use in this recipe. They also have some super cute fall home decor. I got this black plate, the lovely napkins, wood coasters, and my cute little fox there. I got some handy donut pans (both in traditional donut style and donut hole style) at a craft store and I can’t wait to start making donuts all the time. You could easily make these in a donut maker gadget also! I would reduce the cooking time by a few minutes for that. 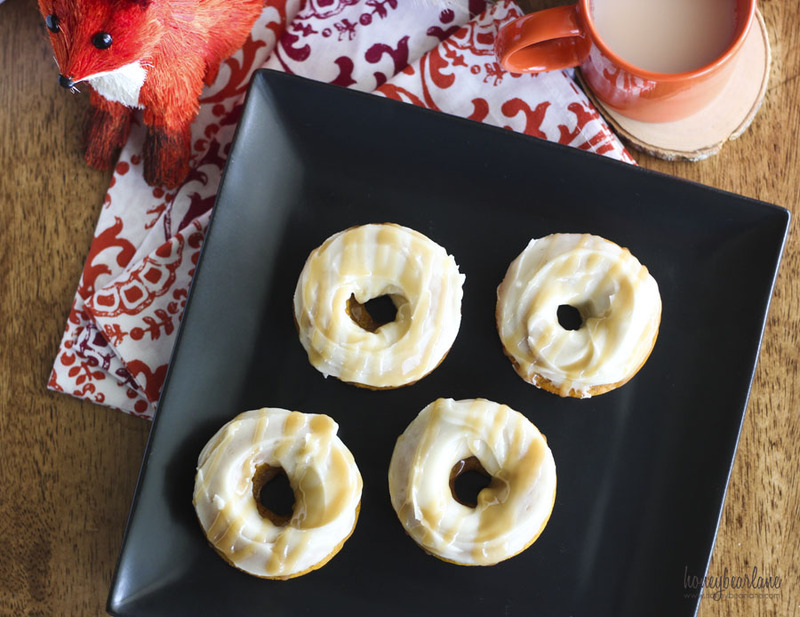 The maple glaze is so delectable and easy to make. Just make sure you use a whisk when adding in the powdered sugar or else it will end up lumpy. And add some milk to make it a little less thick as it cools. 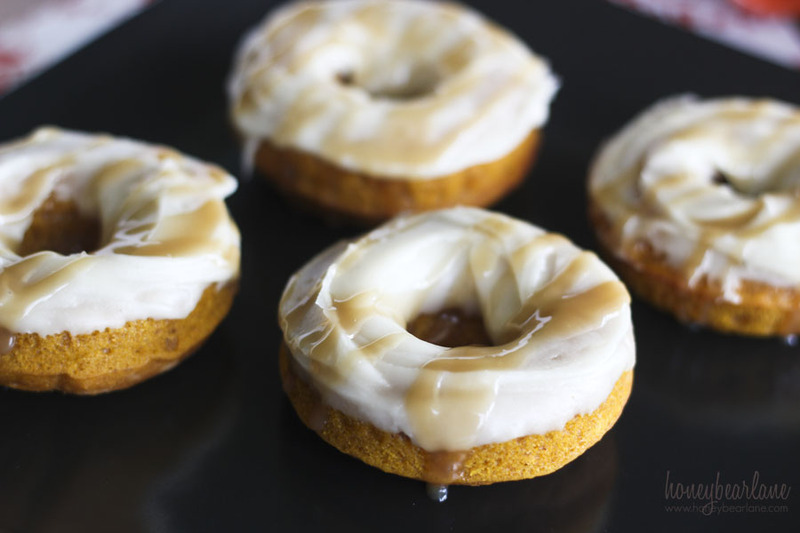 Then you can drizzle the caramel over the top and it makes a beautiful and delicious pumpkin maple donut recipe! I was inspired by a recipe I found on allrecipes.com, but I have made some preferential changes. Sift the dry ingredients (flour, baking powder, spices, salt, sugar) together in a large mixing bowl. Then combine the wet ingredients (pumpkin, oil, maple syrup, buttermilk, eggs) in a separate bowl. Add the wet to the dry mix and stir until well mixed. Pour donut mixture into a large ziplock bag and snip the corner to make a piping bag. Pipe into a well greased donut pan or donut maker. Bake at 375 for 10 minutes. Let cool completely before removing from the pan. For the glaze: In a saucepan, melt the butter and mix with the maple syrup. Boil for 1 minute, then remove from heat. Add in the powdered sugar with a whisk. Add milk as it cools for a good consistency. Dip or spread the glaze on top. 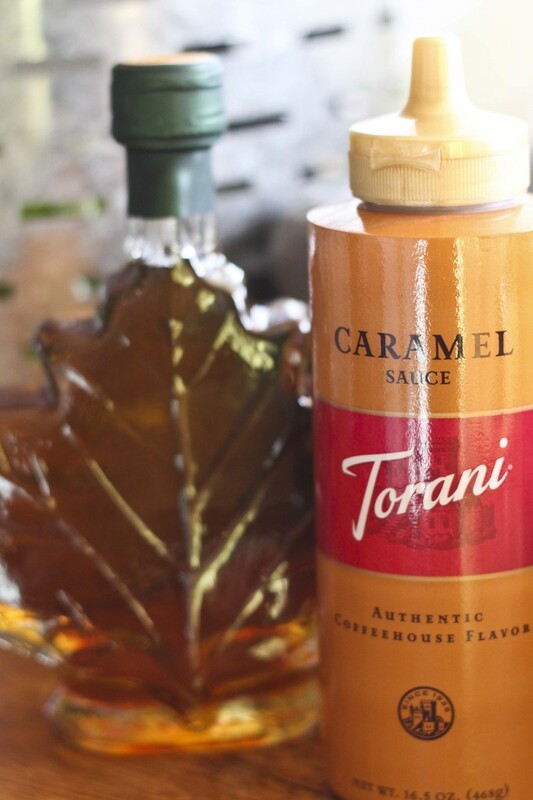 Top with caramel as desired. This post was sponsored by World Market, all opinions are my own. Linked up with Katherine’s Corner, Tidy Mom, The Pin Junkie and Saving 4 Six. These donuts look fantastic, Heidi! Love the flavors! Thanks! They are a great fall treat! 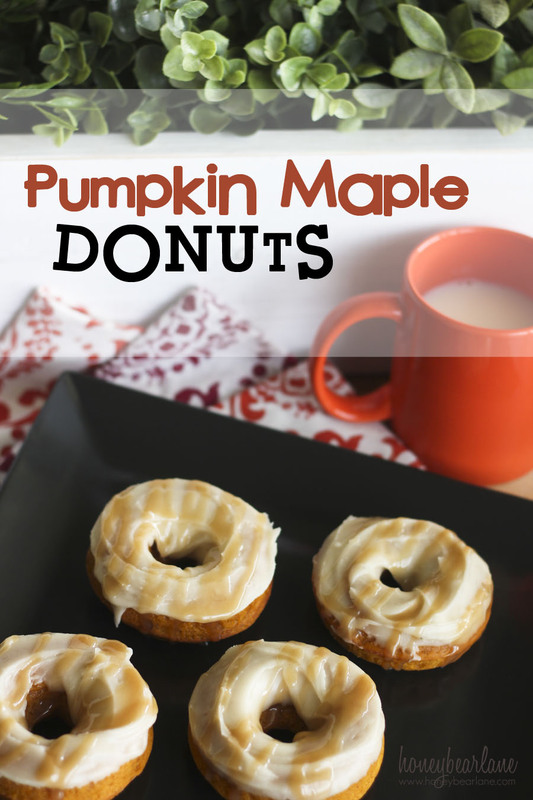 The pumpkin/maple donuts look wonderful…but I am confused by the recipe a bit…The order of ingredients includes the maple glaze in the middle…does the glaze only include butter, maple syrup and powdered sugar? If you could clarify I would appreciate it….my family will love this treat! Yes–the glaze is ONLY maple, butter, and powdered sugar. There is maple in the actual donuts. Good luck–they are delish! Thanks! Don’t miss my latest post 25 pumpkin recipes–they are all amazing! Can I use wheat flour to preparer pumli9n maple donuts?